Sometimes the only thing I need to inspire me is a quiet place to call my own; a creative sanctuary that unlocks my imagination and leads me to new possibilities. 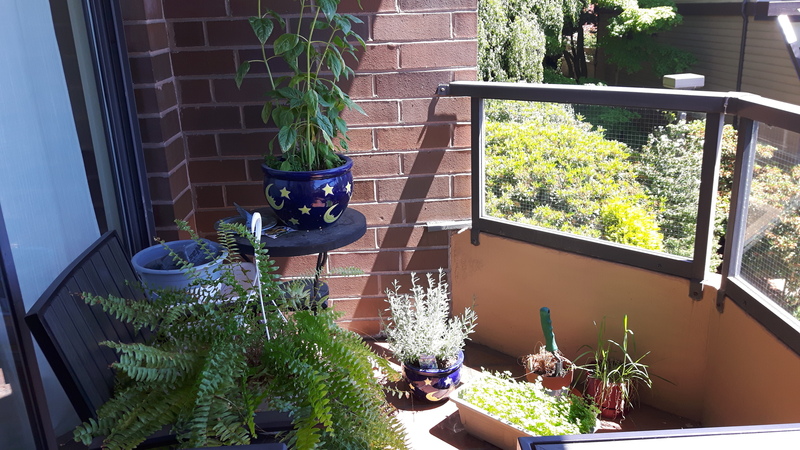 I am always seeking different places to stimulate my creativity – parks, coffee shops, libraries, restaurants, museums – but in the spring and summer months, my creative refuge can be found in my own backyard – or in this case, my patio. When the sun makes its reappearance and the mercury begins to climb, I often retreat to the comfort and harmony of my patio. Everything I need is at my fingertips, just by stepping over the threshold and back into my home, but my patio offers me a barrier against the distractions of daily life and technology. I can leave my phone inside, knowing it is safe from light fingers; I can make my own tea and get refills at my own discretion; I can absorb the beauty of the great outdoors without taking precious time to drive or walk anywhere else; I can arrive in seconds, leave and return again in the same moment. My music is the chirrup of robins and chickadees, the haunting cry of seagulls; my stimulus are the people in my neighborhood, my solace is the flow of words that trickle out with the hiss of sprinklers in nearby yards. The constant motion of the outdoors is the white noise I can tune in or out of at will. In my writing sanctuary, I can cultivate my words and watch my stories bloom alongside my garden.